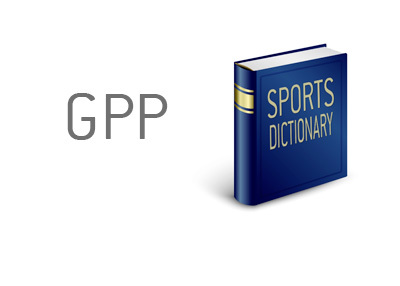 GPP Definition - What Does GPP Mean? What is a "GPP" as it applies to the world of daily fantasy sports? What does the term "GPP" mean? In the world of daily fantasy sports (or DFS for short), GPPs are "Guaranteed Prize Pool" tournaments. These are the events in which you are usually squaring off against thousands of other players. The upside, of course, is that the people who finish at or near the top will take home very large paydays. For instance - let's look at the weekly NFL "Hail Mary" tournament on Draftkings. The site will guarantee a prize pool of say, $150,000, with the winner getting something along the lines of $25,000. Given that the entry fee to this tournament is only $12, this is obviously a very good return on your investment if you win. GPPs can turn a very small investment into a very large payday.